Vehicle wrapping is a fantastic way to advertise your business, event or another message. It is a unique and fun way to reach a large audience, as everyone passing by your shuttle bus will see the advertisement. Bus wraps are an easy way to promote your event or company. We also can provide golf cart wraps as well. 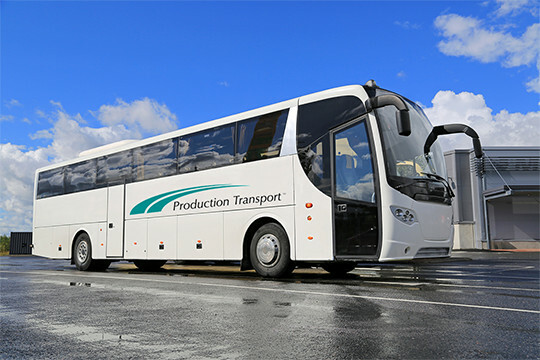 If you are interested in finding the best shuttle bus service, we are your perfect solution. We cater to companies all over the United States and Canada in getting you the shuttle bus rental or VIP car service you need. No matter where your event is in the United States or Canada, we will find the right bus for your group whether it is a motor coach or mini bus. Traveling has never been easier, as we will make all the arrangements for coordinating the routes, times, locations and much more. We are proud to have provided the finest shuttle bus service and vehicle wrap service for over 34 years. Our goal since 1982 has been to provide our customers with high quality services that they can count on. We make it a priority to transport your group easily and effectively. We make sure that our services are very thorough, flexible and reliable so that you and your team can enjoy your conference, convention, trade show or another event. Ready to obtain a high quality vehicle wrap?